BEST SELLER. Inkjet printable discs cheaper than standard CD-R's! Use as standard CD-R's or print directly onto the discs using a CD compatible printer. Memorex quality, white full-face print surface offers great print consistency. 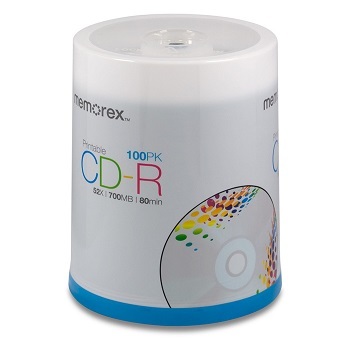 Bulk spindle pack of 100 CD-R discs without jewel cases. The brand you can trust. Verbatim CD-R media tested and certified by leading 52x drive manufacturers. Ideal surface for personalising CD with marker or labels. Ideal storage for digital images, music, desktop files and more. 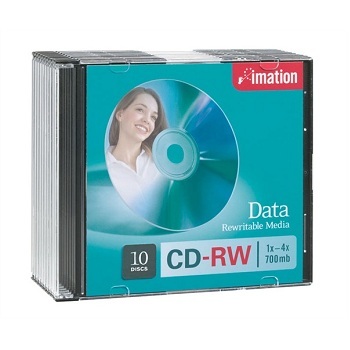 Pack of 10 CD-R discs (80 minutes / 700MB capacity) complete with slim jewel cases. Long archival life. Limited Lifetime Warranty. 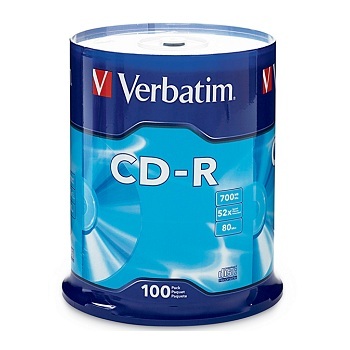 Bulk spindle packs of CD-R discs (80 minutes / 700MB capacity) without jewel cases. 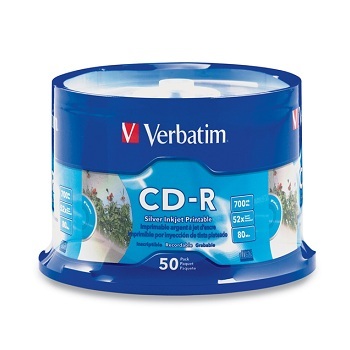 Verbatim Silver Inkjet Printable CD-R discs provide exceptional printing and recording performance on CD/DVD inkjet printers and duplicators. Full-colour, high resolution, photo-quality printing. Fast Ink drying & longer lasting colours. 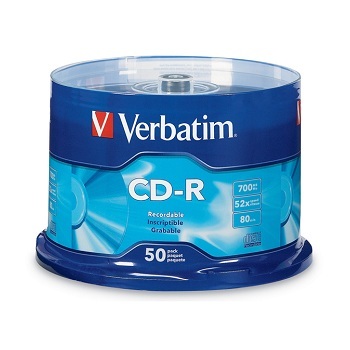 Bulk spindle pack of 50 CD-R discs without jewel cases. 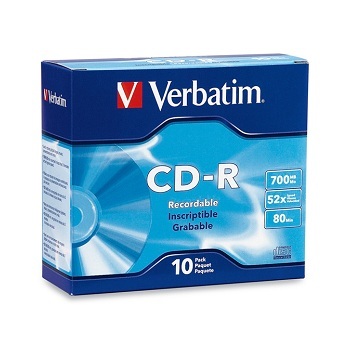 Verbatim CD-RW set the standard for performance, compatibility, and reliability. Great for database backup and archiving, Internet downloards, audio files and transporting large files. 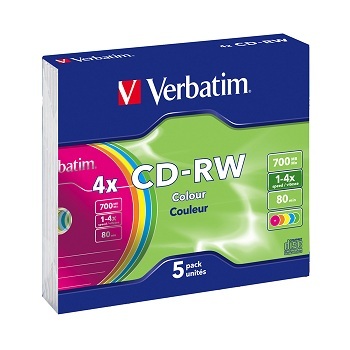 CD-RW discs in 5 vibrant colours packaged in colour-matched slim jewel cases. Your data is safe and stays accessible with Imation CD-RW media. Ideal for a wide range of uses, including temporary storage, presentations, backup, downloads and archiving. This highly reliable media can record and rewrite up to 1,000 times and can be read indefinitely. 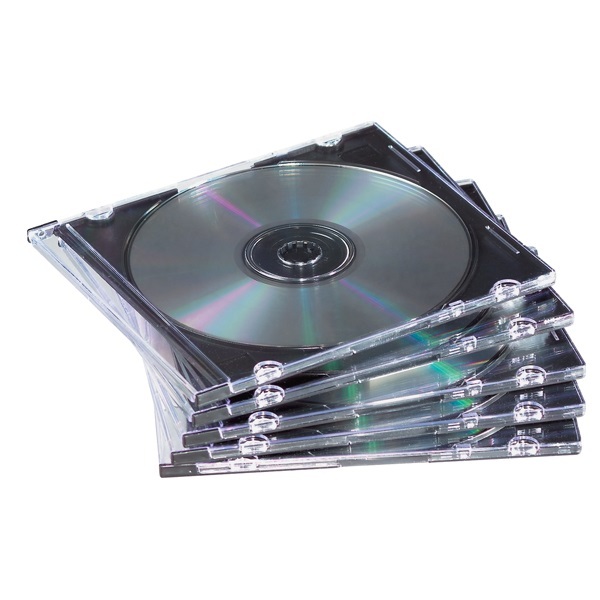 Pack of 10 CD-RW discs complete with slim jewel cases. 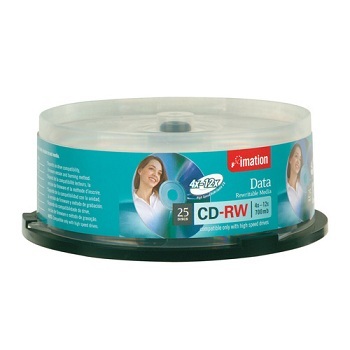 Spindle pack of 25 CD-RW discs without jewel cases. 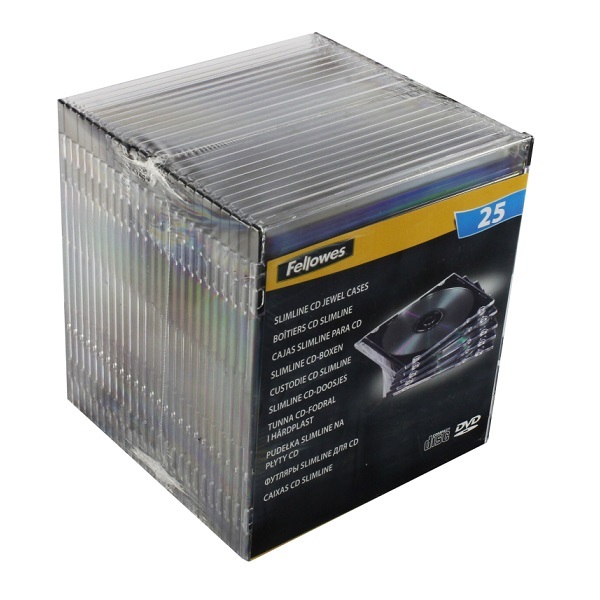 Helps protect your CDs & DVDs from damage. Clear front with a black back and spine.